Mayreau Island is indeed a glimpse of paradise on earth, so are our luxury Caribbean villas in this Caribbean Island Paradise. Unspoiled by tourism or commercialization, its beauty is pristine and breathtaking. White sandy beaches, palm trees swaying lazily in the wind, clear blue seas crashing gently on the shore—what if you could call a piece of this island your very own? Now you can with a collection of stunning Hayes Luxury Villas on the beach that you can either rent or own. Each of our Caribbean vacation villas/homes is strategically positioned on the island to give you an unparalleled view of the beauty of the Caribbean sun, sea and sky. All our Caribbean villa resorts are built with amenities that will make you feel the luxury of modern living among the rustic warmth of the tropics. Private pools, exotic gardens, courtyards and terraces are some of the amenities available with your villa. Whether you opt for a one-bedroom, a two-bedroom or something else that suits your taste and your preferences, trust that Hayes Luxury Villas has something for you. The life on the idyllic island of Mayreau is incomparable. 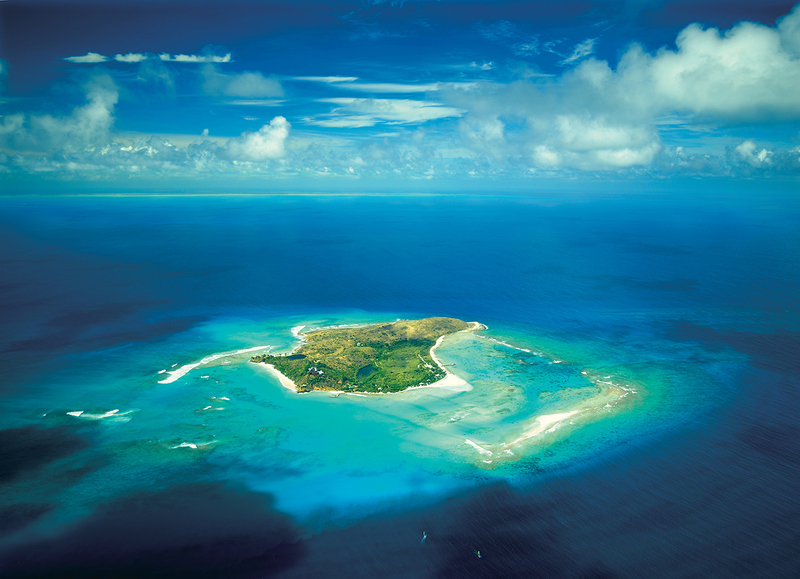 The smallest inhabited island in the Grenadines is only accessible by boat and has a humble population of about 300. Among the infrastructure of this community are two beautiful churches, a school and a telecommunications building. The people of Mayreau are vibrant and inviting, mostly made up of fisher folk and their families. Though it is largely supported by tourism, the island is far off from being consumed by modernization or consumerism, which makes it an ideal place to escape the daily grind of city life. To stay for a few days every year in this island is completely rewarding. Especially if you are housed in a beautifully built luxury Caribbean villa affixed with modern amenities. The architecture of these Caribbean vacation villas is worth your admiration; the design lets in warmth and natural light so magnificently. The open layout emphasizes the captivating views of the island and the neighboring beaches and seas. The weather is always perfect on the island, lending an easygoing and peaceful vibe to all who choose to stay in our luxury Caribbean vacation villas. Along with the wealth of activities available to you on Mayreau island accommodation, you will never run out of things to experience. You can even have your food cooked by your own personal chef. Among the best things to do while staying on the island are the delicious meals that you will get to experience cooked especially for you. Wining and dining under the stars or with sand on your feet is definitely one of the things that you must experience in your lifetime. Fill your vacations with various leisure Caribbean activities that can either rejuvenate or relax you. Take a scuba diving class and discover the secrets of the deep or simply go snorkeling to get better acquainted with the marine life. You can also choose to go sailing or simply take a dip into one of your private pools or Jacuzzis. Hayes Luxury Caribbean Villas offers only the best of the island, ensuring the most wonderful experience for you and your family. Whether you choose to rent or to buy a Caribbean vacation villa you are guaranteed to have a one of a kind experience in one of the most peaceful and beautiful beaches in the world.